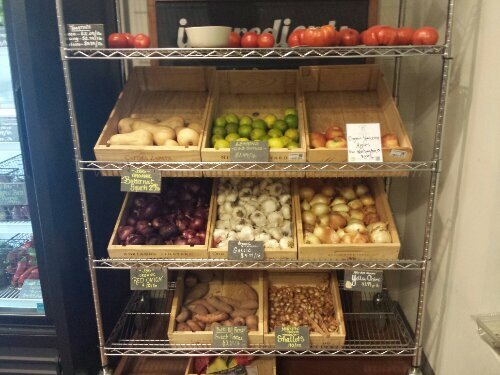 Here’s a great article about a “packaging-free grocery store” written by Beth Terry and originally posted here. We think you will find it so inspirational that you might want to start up your own in your local community. After learning about the devastating effects of plastic pollution on the environment and human health, accountant Beth Terry (from Oakland, USA) began an experiment to see if she could live without buying any new plastic. Find out more about Beth and her great initiatives here. 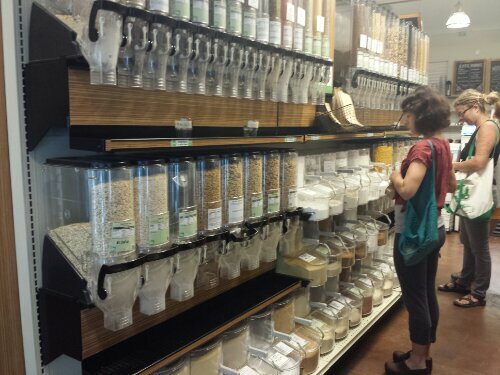 I’ve been dying to visit In.gredients since before the store even opened for business, and I profiled the company in my book Plastic-Free based on a telephone interview and articles I had read about a new packaging-free grocery store opening up in Austin, TX. 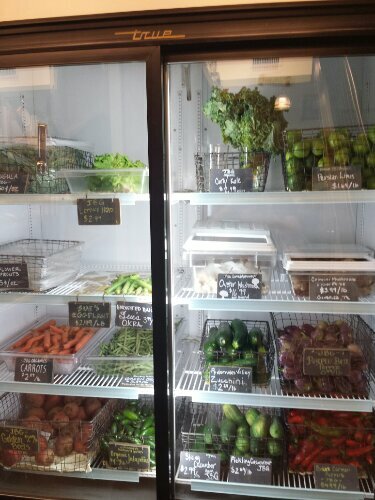 So almost immediately after arriving in Austin yesterday afternoon, I headed over to this mythical zero waste grocery store to see if it was as awesome in real life as it had been described to me back when it was still in the planning stages. And you know what? It’s better. 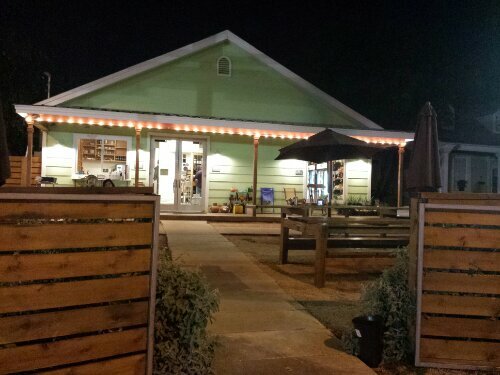 Out front is a porch and long picnic tables where folks hang out, eat food, and use their laptops. (There’s free WiFi too). Stepping inside, I was greeted by Erica, who gave me a little tour. First, she showed me the most amazing, high tech tare system I’ve ever seen: a scale attached to a computer, monitor, and label printer. The best part is that it’s located right inside the front door, so there’s no mistake that In.gredients wants you to use your own containers. 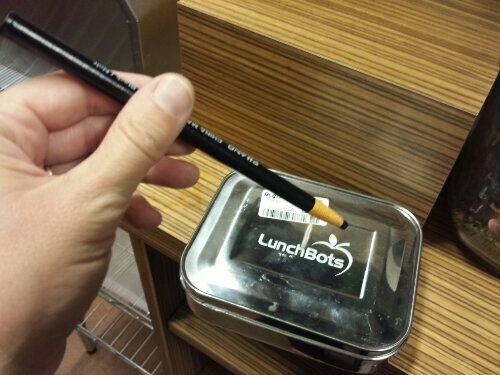 You set your container on the scale (I happened to have a Lunchbots container with me), press the button on the screen, and the weight appears. 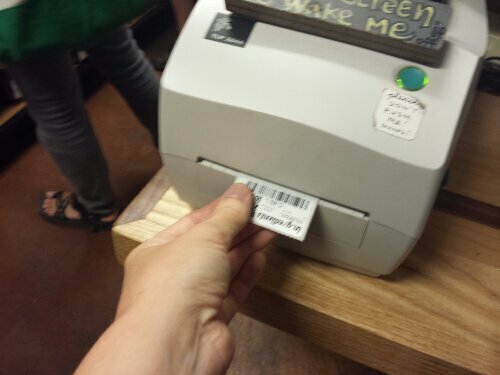 Next, a sticker prints out with the tare weight and a bar code. Apply the sticker to your container, and then fill it with one of the many bulk items in the store. In.gredients even provides funnels of different sizes for easier filling. Then, when you check out, the cashier enters the code, weighs your container, scans the bar code, and the system automatically deducts the weight of your container. And you can fill your reusable cloth bags with lots of fresh, local produce. 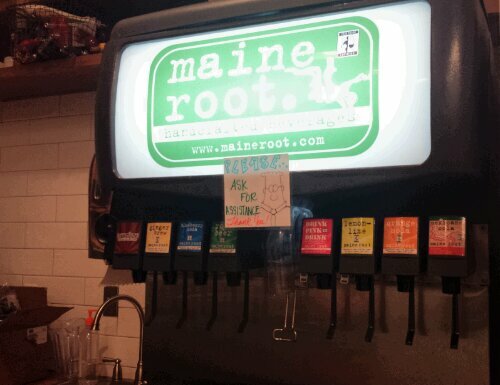 In.gredients also sells tasty beverages… on tap. 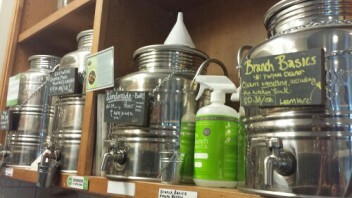 Beer, wine, kombucha, soda… just have them fill up a returnable jug or bottle. You can take food and beverages to go, or stay and eat some of the delicious prepared foods. They’ll be served to you on a durable plate, and you’ll get a real glass for your drink. I tried a couple slices of thin crust East Side Pizza, and oh. em. gee. This is what every pizza should taste like. I had Olivia (pesto, eggplant, artichoke, garlic, feta, and kalamata, black, and green olives) and Marge (cherry tomatoes, fresh mozzarella, and basil). Olivia was so good I finished hers before I thought to take a picture. Now, don’t forget, I was sitting outside. And after my incident with the mosquitoes in Hawaii, I wanted to be careful. I asked if there were biting bugs in Austin. Oh yes, Erica told me. Definitely mosquitoes. But In.gredients has thoughtfully put out spray cans of natural bug repellant for patrons to use. And if you buy a can, you can save money and packaging by refilling it from the bulk container. Yes, they even sell bug spray in bulk. So far, I’ve discussed all the things you can buy in bulk with your own bags and containers. But people ask me all the time… how does that stuff get delivered to the store? Does it come in disposable plastic bags? At most stores, the answer is usually yes. But In.gredients wants to change that. Because they source their products locally, they are able to encourage their vendors to deliver products in reusable, returnable containers. Erica showed me the back room, which was full of empty containers to be exchanged at the next delivery. So, is In.gredients completely plastic and packaging-free? No. Erica estimates that about 80% of their products are available in bulk. But they do have some packaged local products that are not available without packaging. 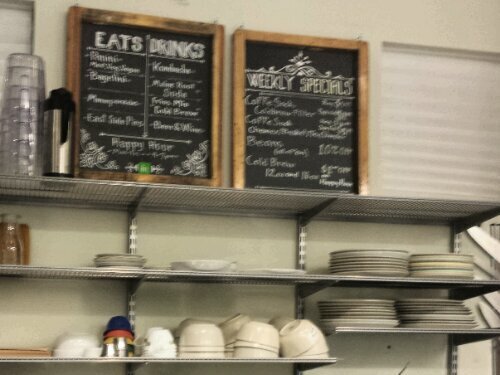 Meat, for example, since they don’t have a butcher counter. And dairy. 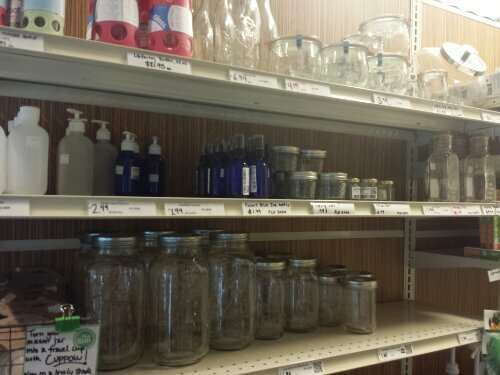 Unfortunately, Austin doesn’t have a local dairy that bottles in returnable glass. But take a look at this cheese case. You see cheeses wrapped in plastic. But what don’t you see? 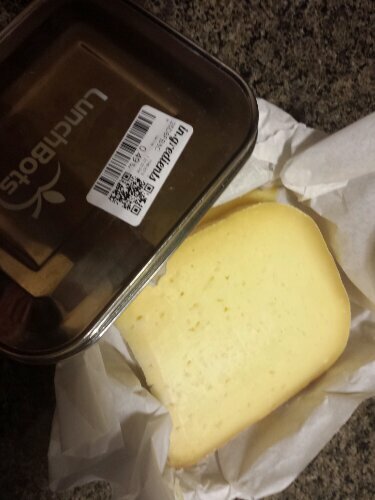 You don’t see individually wrapped portions of cheese. They cut it for you when you order it, so you can have them put it in your own container without additional plastic wrap. Unfortunately, due to local regulations, they can’t put it in your container directly, so they’ll wrap it in paper. But there are also some plastic bags and containers, although the containers are not free like in most stores and customers are encouraged to reuse them. The philosophy is not to punish or shame people but to try to educate them and let them know what they could do next time. 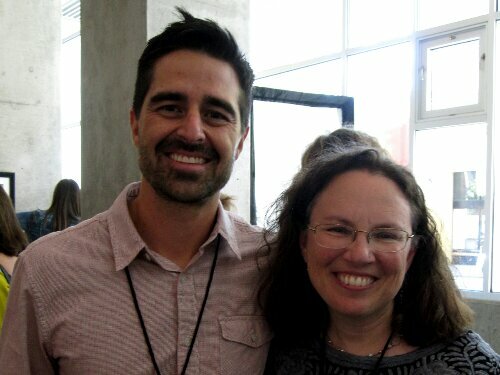 A few months ago, I met In.gredients owner Christian Lane at the Think Beyond Plastics Innovation competition. To me, the coolest thing he said during his presentation was, “It’s important to educate customers.” That’s actually quite revolutionary these days because most businesses I speak to tell me they can’t make their product or packaging greener because their customers don’t want it. I feel like In.gredients might be making some small concessions by offering a few plastic bags and containers, but their overall focus is to wean people off those things. In London there is a pretty much identical project called Unpackaged. However, it is worth noting that most humans still buy most of their food at open air markets where no packaging has been the norm for millennia. Also, in Scandinavia many of the big supermarkets sell lots of basic stuff by weight too (i.e. 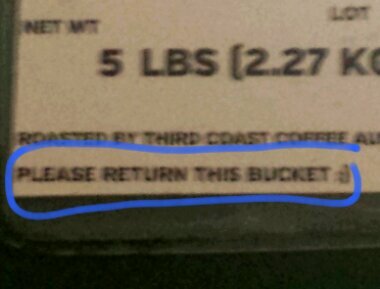 you take a container to re-fill).